What's the purpose of beard oils anyways? With so many different options of beard care products on the market, it can be hard to decide which beard oil brand to trust. The main issue is that most men don’t know the purposes of beard oil, nor do they know what to look for when making their purchase. In this article, we’ll explore why oils are fundamental for the health of your skin & hair. We’ll touch base on the different ways it can be extracted & the multiplied benefits of organic certified oils. First and for most, the purpose of beard oil seems to be a well-kept secret. The masses have been convinced that moisturizers from the pharmacy are the only way to moisturize their skin. But they’re wrong. Very wrong. What they don’t realize is that oils are an excellent NATURAL alternative containing everything your skin needs – fatty acids, vitamins, minerals, and antioxidants. Oils contain potent antioxidants – Oils such as Argan contain high amounts of Vitamin E and other antioxidants that fight skin aging. 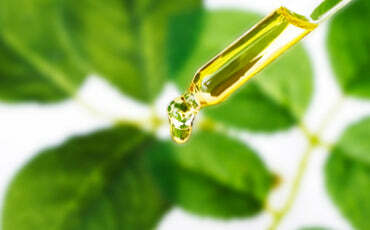 Oils can be anti-inflammatory – Triterpenoids and phytosterols in oils have anti-inflammatory effects. Oils plump the kin – Because of their fast absorption, skin is left soft and supple. Oils increase absorption of your actives – Oils carry active ingredients (such as vitamin C) deeper into your skin, they also reduce surface irritation that these actives can cause. People are often intimidated by oils, as was I when I first started hearing about them, “why would I want to put an oil on my face, when my skin is already oily?” But the fact is – many oils will not clog your pores, and can actually help regulate your skin’s oil production. In a 2004 study conducted at London’s Imperial College School of Medicine, scientists discovered that the beneficial antioxidants were only found in minimal amounts in most commercially offered non-organic oils. When scientists tested a cold-pressed formula (cold-pressing is the oil extraction process that allows the oil to pass organic certification), they found greater quantities of antioxidants, leading them to conclude that the organic oil is superior in terms of potential health benefits. Oils are an amazing addition to your skin care routine. Oils are so good that in fact, many people have opted out of using moisturizers all together and have replaced their skin’s hydration needs with facial oils. The key is to find the right oil for your skin, and to learn how to use it for the best results. We have combined various carrier oils in our formula to balance the benefits for all skin types, mainly certified organic jojoba oil, which is the closest to the skins sebum. We source our ingredients from organic certified & vegan certified manufacturers to ensure the highest quality products on the market. Check out our beard oil selection HERE to find the perfect oil blend for your skin type. And remember, you are what you put on your body! 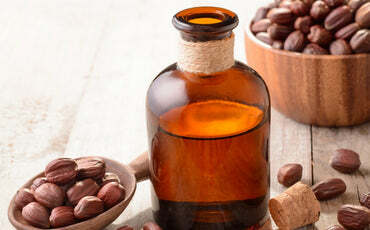 What Is Golden Jojoba Oil and Why We Use It. 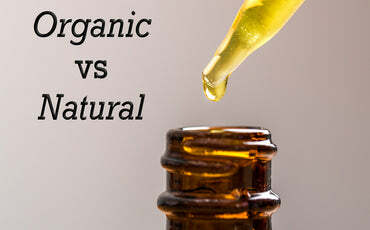 The Importance of Organic Ingredients in Products. 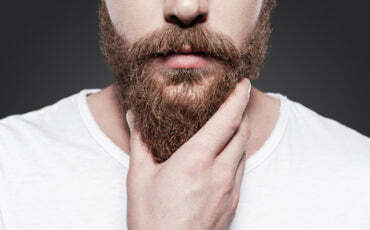 3 reasons why beards are in to stay! JD enjoys his life to the fullest on Vancouver Island, BC, Canada.